DrupalCampWisconsin was held all day on Saturday, January 19th, 2008 at MSOE in Milwaukee, Wisconsin. I’d like to thank everyone who showed up and took part, and all of the sponsors for the care and feeding during the 12+ hour event. Thanks to Web414 for organizing the thing, Fresh Coast Ventures and 2XL Networks for providing beverages, and Cruiskeen Consulting LLC, EC Connection, and Palantir for keeping our bellies full so we could concentrate on Drupal. Like I said, slow start… After we asked the group for session ideas, we wrote them down and built a rough schedule. We then just talked generally about the Drupal Community until noon when lunch arrived, and then ate our subs and launched into the sessions. We ended up having two rooms, one for Beginner sessions, and one for Advanced sessions. We covered a lot of stuff including CCK, Views, Ubercart, and more… until it was time for dinner. Oh, we also put up a “who needs work/who needs to hire someone” board. After dinner we ended up combining the Beginner and Advanced groups into one and covered theming. After the event ended, we headed over to Bucketworks for a party sponsored by Social Helix and The Fireseed Group. There was drink and merriment until we were too tired and went home to sleep. 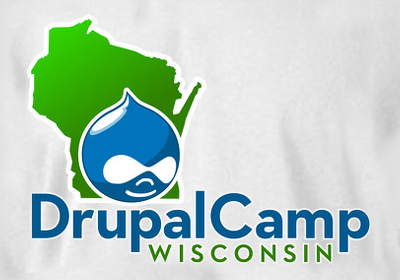 Since DrupalCampWisconsin is tomorrow, I figured I better have Drupal installed on my laptop. 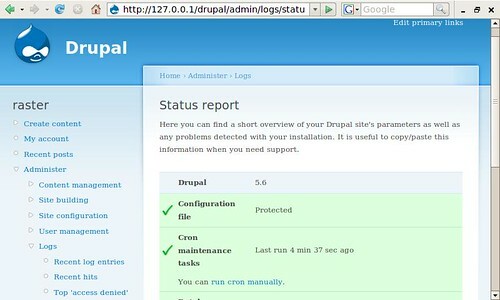 I already had XAMPP running, so adding Drupal only took a few minutes. 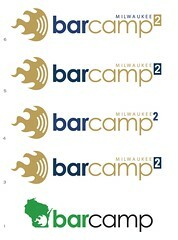 DrupalCampWisconsin is happening soon! 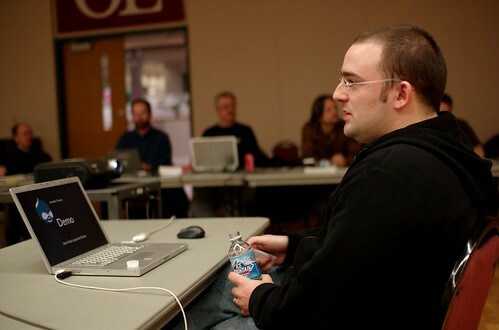 Saturday, January 19th, 2008 at Milwaukee School of Engineering (MSOE) in Milwaukee, Wisconsin. 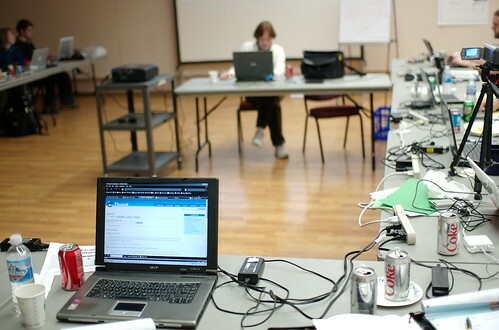 We’ll be running from 10AM to 10PM and dealing with all things Drupal. If you are interested in attending, please add your name to the wiki page. If you are interested in sponsoring this event, please get in touch with me.